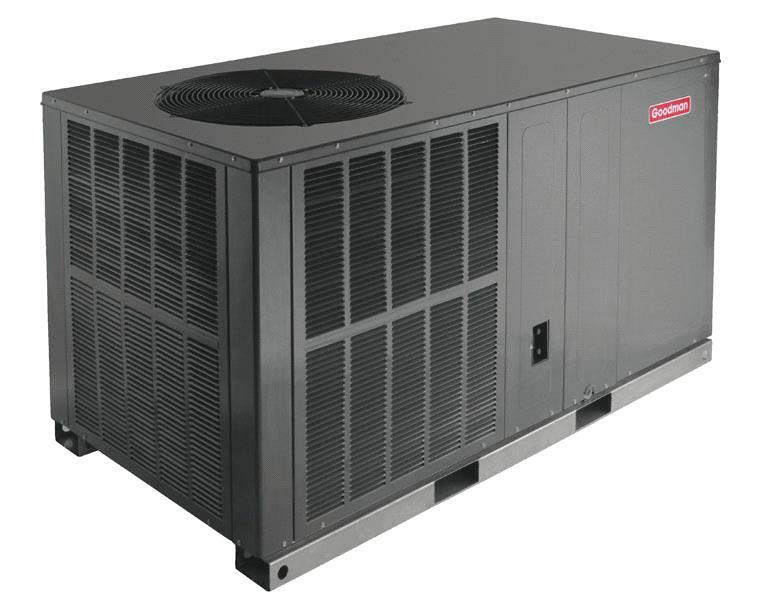 Add the energy-efficient Goodman GPH1636H41 3 ton packaged heat pump to your central air conditioning system. This model is a complete combination of great cooling and excellent heating capabilities. To provide a required temperature, the heat pump has a highly efficient compressor, and also reverses automatically. A maximum cooling capacity of 36,000 BTU with the 32,200 BTU of heating output is sure to provide a cozy temperature inside. An energy-efficient operation with the maximum desired effect is ensured by the 16 SEER rate. The R-410A chlorine-free refrigerant that comes in most Goodman residential products also makes this unit eco-friendly. A heavy-gauge cabinet made of galvanized steel and finished with the UV-resistant powder-paint guarantees an impeccable and safe operation. Prolonged and safe heat pump work is achieved due to copper tubing and aluminum fin coils. The construction of the unit is applicable for down- and horizontal airflows so it could be installed on the roof or ground. Deliver a year-round comfort and get the most out of this energy efficient unit from the GPH16M heat pump series. With the self-contained Goodman GPH1636H41 model your home temperature will be always under control.